Our pet wellness exams in San Diego inspect your pet with great care, inside and out, to find any issues that require treatment. Fleas and ticks carry diseases and cause skin problems. Our flea and tick prevention programs can help your pet enjoy a pest-free life. Heartworm is a deadly parasitic heart/lung infestation. We can put your pet on preventative medication to protect him against heartworm. Our in-house diagnostic tools and technologies let us analyze your pet's health without waiting for third-party lab results. We do work with a state of the art reference lab in southern California are so we are able to provide you with next day results. This can make all the difference when your pet needs the soonest possible care. In-house digital x-rays provide our veterinary staff with high definition images immediately so we can diagnose your pet & get them feeling better sooner. State of the art ultrasound equipment is available in-house to give us the clearest picture while diagnosing your pet. We now offer stem cell therapy using technology from VetStem. This service allows fat to be collected when your dog is undergoing an anesthetic procedure such as dental cleaning or orthopedic surgery, and stores your dog's own Stem Cells so that they can be cultured to supply a lifetime of stem cell therapy. We are able to use it to treat things like arthritis, tendon, ligament and muscle injuries. Our emergency vet in San Diego can perform prompt diagnoses and administer immediate care. We can treat heat stroke, traumatic injuries, bloat, choking, poison ingestion and many other emergencies. If you're traveling for an extended period, your pet needs access to veterinary care as well as regular feedings and human affection. Our pet boarding facility will keep him safe, sound and happy. Our Tierrasanta veterinarian vaccinates pets against rabies, distemper, leptospirosis, parovovirus, hepatitis and Bordetella ("kennel cough"). We can also vaccinate outdoor animals against Lyme disease, canine influenza and even snakebites. We also offer rattlesnake anti-venom in case your pet has received a snake bite. We take emergency walk-ins so stop by our office so your pet can receive help as soon as possible. Pet dental care is essential for maintaining a healthy, comfortable mouth. We offer checkups, cleanings, and treatment up to and including oral surgery. We provide a wide range of pet surgery services to cope wth various conditions and situations. From routine spay and neuter surgery to life-saving internal procedures from our emergency vet in San Diego, your pet is in skilled hands. If you have to leave your pet for the day, why not leave him with us? Our day care facilities offer a safe, comfortable, affectionate place for your beloved companion to stay until you pick him up. From weight loss programs to prescription diets for a particular medical condition, our Tierrasanta veterinarian can help your pet eat for health. Microchipping is an essential backup for your pet ID collar tag. This tiny chip is injected under the skin, where it's ready to transmit a unique ID number when scanned by an RFID scanner. If you need documentation proving that your pet is in good health before your big trip, our veterinarian in San Diego will be happy to provide the necessary pet travel certificate. We use and sell essential oils as complimentary therapy to traditional veterinary medication. This allows us to offer complete treatment in a safe & holistic way for you & your pet. 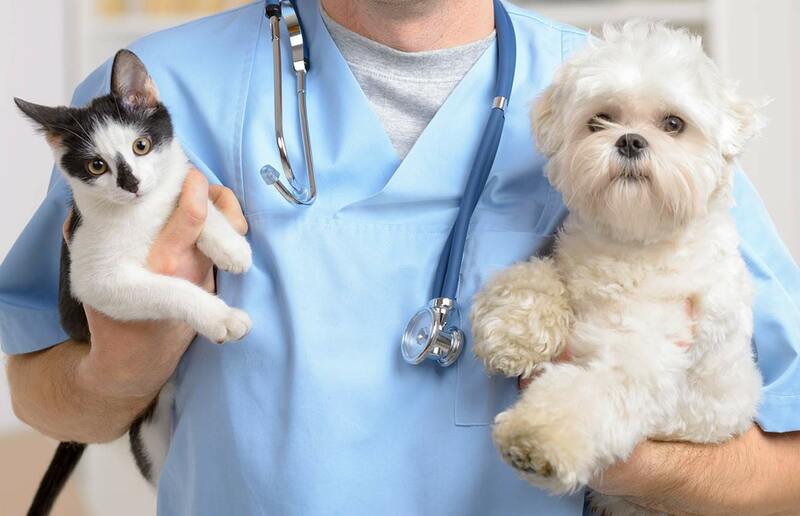 Call Our Veterinarian in San Diego Today! Ready to provide your pet with a world of health and wellness services? Call 858-292-6116 for an appointment with our veterinarian in San Diego!